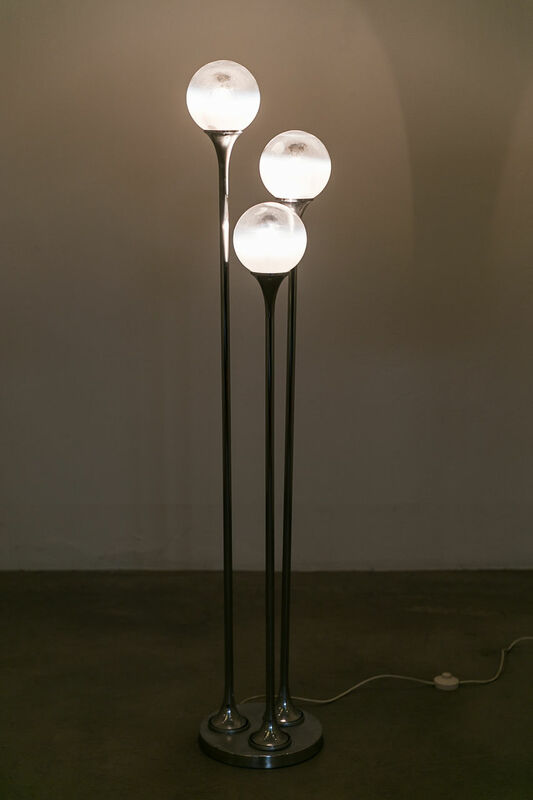 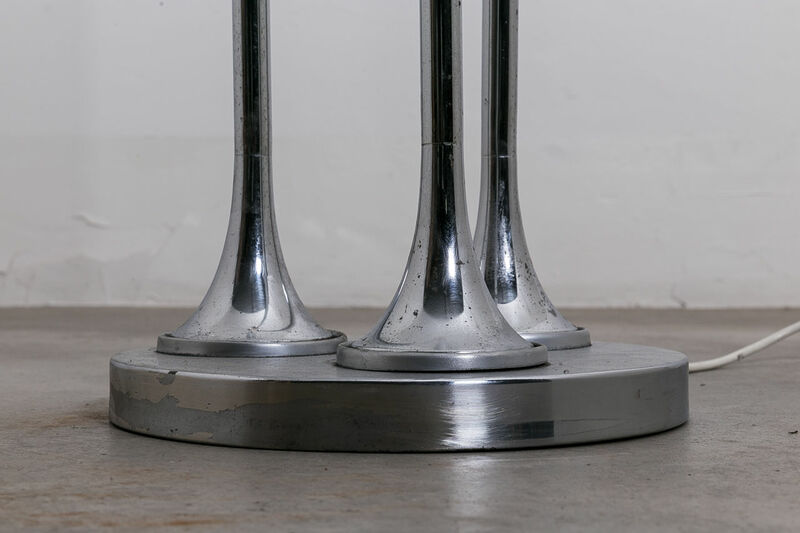 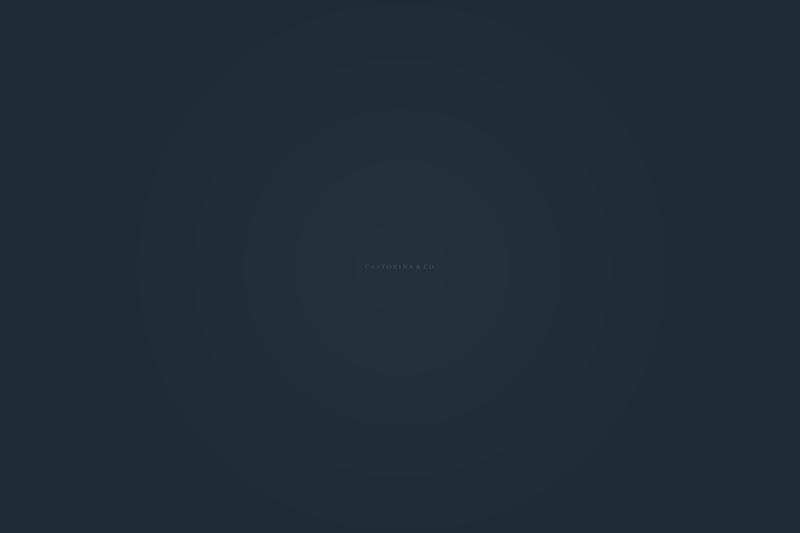 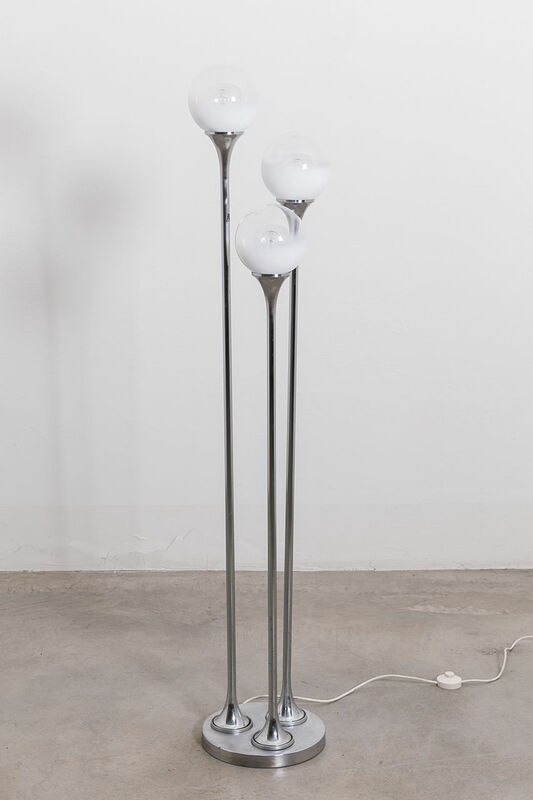 Targetti Sankey floor lamp, Circa 1960, Italy | Castorina & Co. 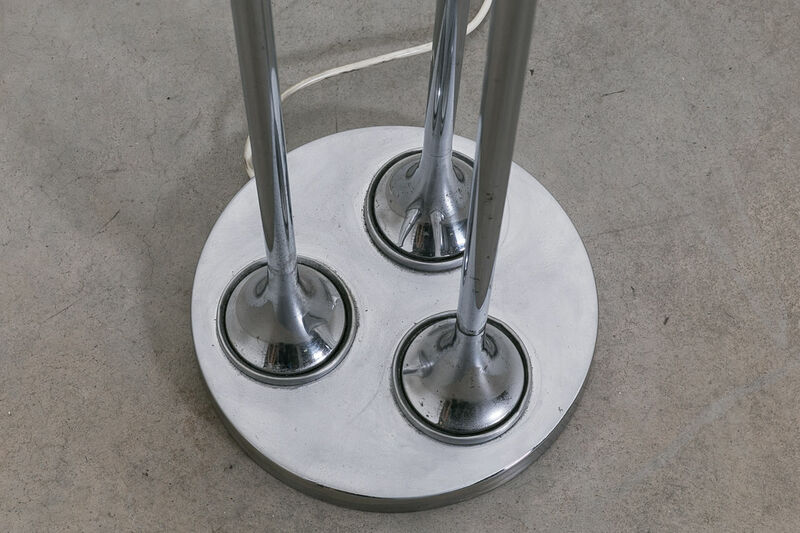 Designed and manufactured by Targetti Sankey, Circa 1960, Italy. 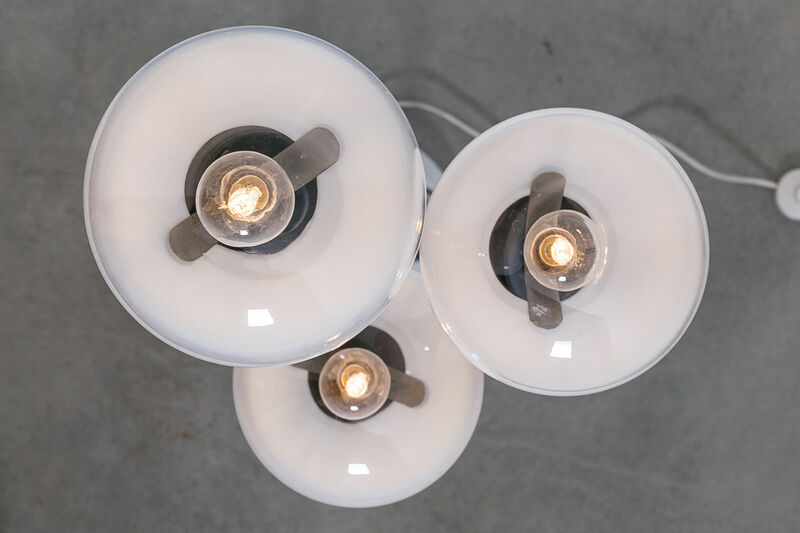 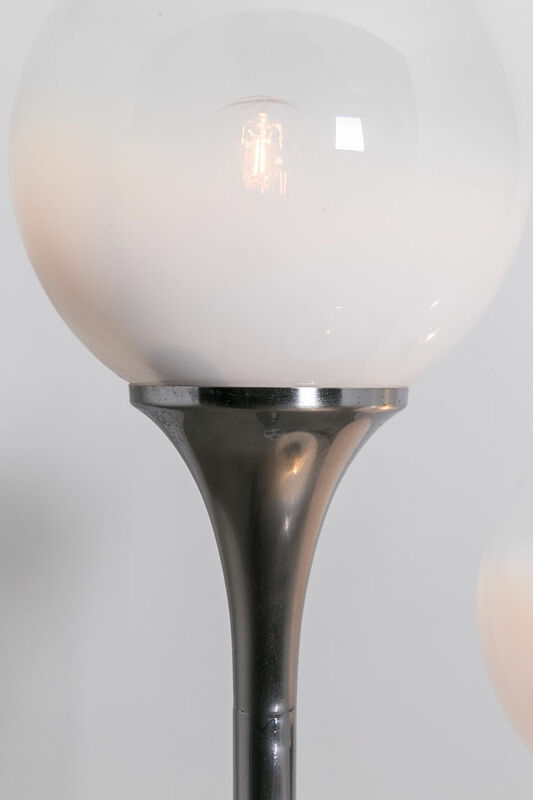 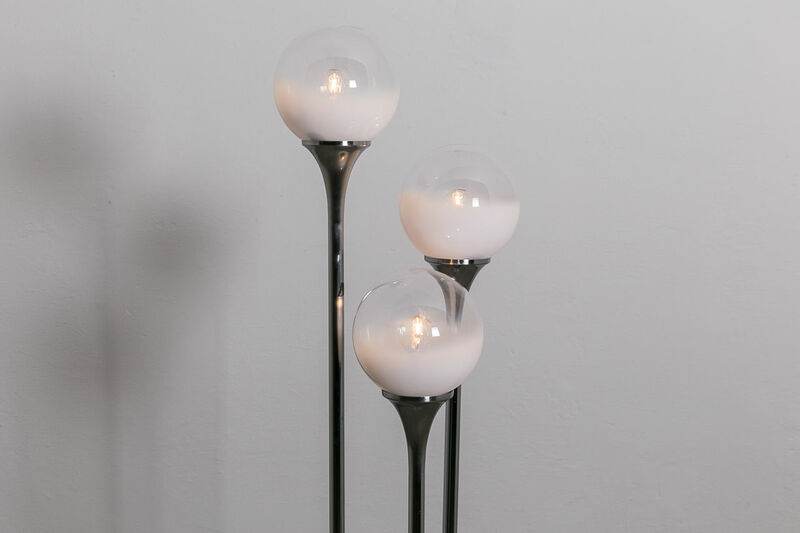 This lamp has a metal round base, and three chrome arms to support the semi transparent and frosted glass globes can be turned on separately using the switch at the base, there are three positions.